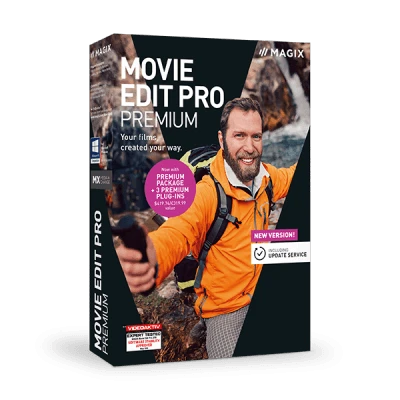 Download MAGIX Movie Edit Pro Premium and experience high-quality video editing software with a range of premium plug-ins. Summer vacation, birthday party or trip – Download now and make a movie of all your favorite moments. Simply download Movie Edit Pro Premium and edit 2D and 3D footage. Featuring awesome editing functions, impressive templates, and high-quality plug-ins etc. Enhance your favorite videos or edit effects and titles. Download Movie Edit Pro Premium for free and make your movie a blockbuster thanks to the stylish templates.